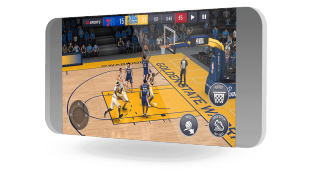 The new season of NBA LIVE Mobile is available now! Same court. Different generations. 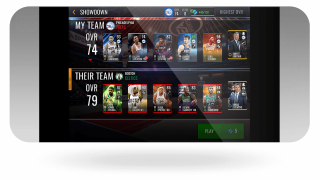 Build your Ultimate Team of current stars and favorite legends to turn your “what-ifs” into “wow” moments. 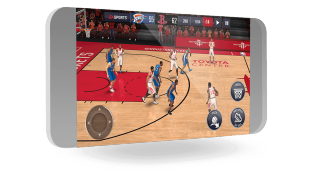 Go head-to-head in Showdown, dominate in Leagues, and ball your way to victory with every mode. Always on and always here to ball. Make progress through every Live Event to show out and reap the rewards. Take the real world into your game with current events to experience heart-pounding plays. Improved controls make it easier than ever to pick up and play. Better shot feedback will keep your game on point, and Archetypes reveal every player's specialty on the court. Get connected to the action with Campaigns and put up numbers all year long. Score unique rewards in real-life matchups and break ankles every step of the way. Get up to speed on the latest news. 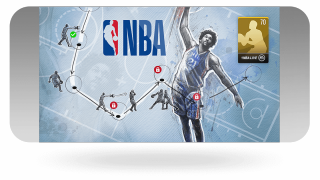 What’s New in NBA LIVE Mobile Season 3! Explore videos to learn tips and tricks from community experts.